Most people think the first step in creating a spagyric herbal extract is the separation of the volatile Sulfur of the plant. To translate that into something understandable, that means distillation of the essential oils. But I beg to differ!! It’s getting out into the forest and gathering firewood! In the alchemical tradition, the Fire Element is considered the most important, for it is the primary Element of transformation. If there was one word we could use as a synonym for Alchemy, it’s transformation, but it’s so much more than just turning something from one thing into another- by that definition we could say that cooking a soup is alchemy! A better way of looking at it – and using a more traditional term – is transmutation. The difference is that when we transmute something we move it further along its evolutionary path, we are consciously assisting its growth and development. And it is through the conscious use of Fire that this is achieved. In Alchemy, Fire is the terrestrial, or Earthly, manifestation of the Sun. And while on the surface this seems like some mystical esoteric concept, when I really think about it (which I do while I’m cutting and splitting firewood) it’s actually a literal fact. The Sun shines down on Earth and leads to the process of photosynthesis in plants, leading to their growth and generation of tissues. Thus, when you are looking at a 100 year old Douglas Fir, the large amount of mass and structure of that tree is essentially 100 years of stored up sunlight. And at some point that tree dies, and I come along in the forest and cut it down (I don’t cut live trees for firewood), buck it up, split it up and bring it into my lab. 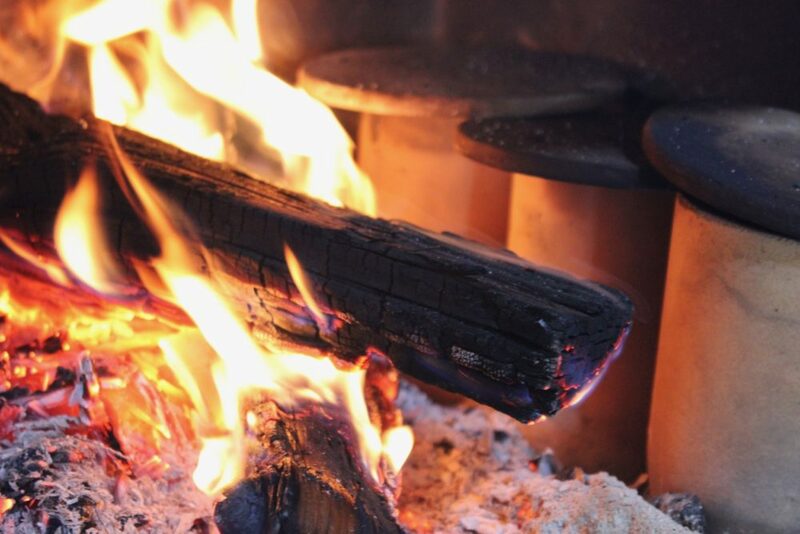 As I light that Fire, I am reminded of the hundreds of years of wisdom that tree held, all the long days of summer and short ones of winter that this tree absorbed from the Sun and is now being emitted through the Fire that I am using to make medicine. The Sun is the center of our solar system. Through it, all transformation on Earth occurs. From the generation of the seasons, photosynthesis in plants, regulation of the biosphere… the Sun can be seen as the source of all change we experience on Earth. In this way, the Sun holds the essence of transformation which is transferred to our “Earthly Sun” through the Fire Element. And it is this power that we are harnessing in Alchemy to transform our plants into a new form of medicine. But it goes further than that. The Fire Element also manifests itself within us as human beings. It can be seen governing various organ systems, tissues, constitutional states, and other dynamics within our bodies. It can generate certain psychological temperaments and emotional states. It also holds certain teachings for us as human beings that ultimately serve in our souls growth, development and evolution. The Fire Element governs the heart, blood and circulation- as this is the central core of our physiology, distributing the vital force throughout the organism in a similar way the Sun distributes life throughout the solar system. It also governs our digestive system, especially in the small intestine- seat of what is referred to as Agni in the Ayurvedic tradition. Agni is said to be a manifestation of the pitta dosha, or the primal Fire of the body. It's responsibility is the transformation of food that we eat into assimilable nutrients for the body. 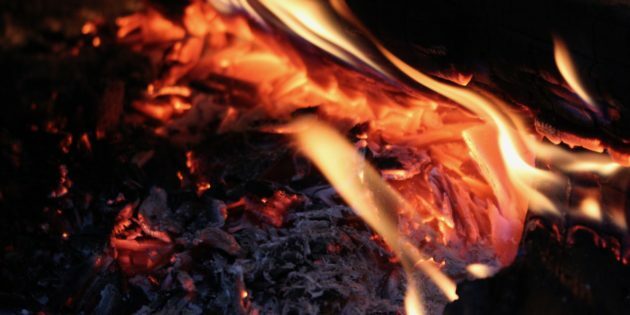 We have agni not only within our digestive system, but within each cell as well- for each cell is a microcosm of the whole body as it takes in nutrients, processes them, and dispels the waste products. Agni is also located within the mind, and is responsible for the ability of our consciousness to process and digest our experiences and assimilate them into intelligence and wisdom. This is one way that we are able to start to connect our physiology and psychology- through seeing the underlying Elemental patterns that relate the two together. Fire is also in plants. Plants with a lot of bright coloration- reds and oranges- sharpness, prickles, and thorns too. Fire plants tend to be hot, spicy and pungent in their taste, have stimulant properties, diaphoretic, circulatory stimulant, blood purifying, and digestive stimulating properties. They oftentimes work through the heart, blood, adrenals, and small intestine. A great simple example of a Fire Element plant most people are familiar with is Cayenne pepper. With its bright red color, preference for hot dry environments, intensely warming pungent nature, and the way it stimulates circulation, tonifies blood vessels and the heart, warms up digestion, and promotes sweating through diaphoresis- one can see how the Fire Element influences all levels of the plant. This is the power that alchemy holds. It unites the various qualities, characteristics and properties of plants through being able to see the unique forces of nature that operate through it. This is traditionally seen as the 5 Elements of nature: Earth, Water, Air, Fire and Ether, as well as the 7 inner Planets of astrology: Sun, Moon, Mars, Venus, Jupiter, Saturn and Mercury. These constitute what I often refer to as the "energetic architecture of nature." By seeing how these archetypal forces of Planets and Elements are directly imprinted into people and plants, you are able to understand their deeper properties and qualities, as well as start to see the pattern that unites the physical and spiritual dynamics. In short, you see not only the wholeness of the plant and the wholeness of the person, but how they are in relationship to the wholeness of life.